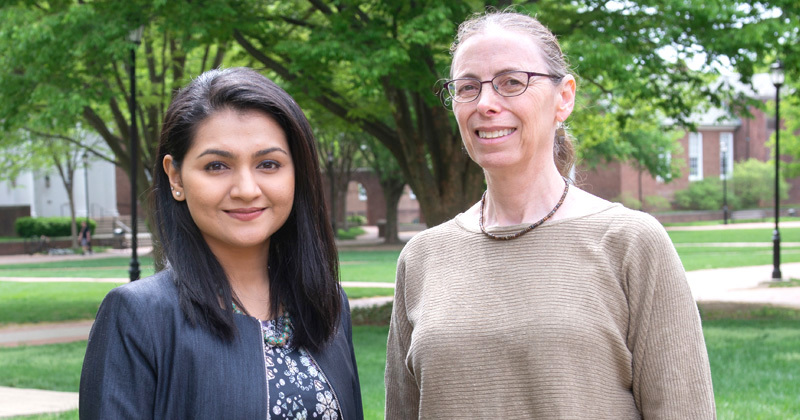 Precision medicine is one of the hottest topics in healthcare, and a graduate student at the University of Delaware is earning international recognition for her work in this area, applying machine learning approaches to healthcare. Moumita Bhattacharya, a doctoral student in computer science, is one of just 200 top promising young computer scientists worldwide to be selected to participate in the sixth Heidelberg Laureate Forum, which will be held in Heidelberg, Germany beginning on Sept. 23, 2018. This forum invites 200 young computer scientists and mathematicians (graduate students and postdoctoral associates) from around the world, following a rigorous and lengthy selection process, to meet with the most prominent people in their fields. Laureates at the forum include past winners of the Fields Medal and Abel Prize, among the most prestigious prizes in mathematics, and the Association for Computing Machinery’s A.M. Turing Award — the highest honor in computer science. Only 15 students from the United States were selected this year. Universities across the U.S. could nominate two candidates per university among whom only a few were selected by the National Science Foundation (NSF) and Oak Ridge Associated Universities (ORAU). These NSF/ORAU nominees were then further assessed by the Heidelberg Laureate Forum’s scientific committee, which comprised past laureates. Candidates were assessed on qualifications including their research projects, scientific papers, previous awards, among others. At UD, Bhattacharya’s doctoral work is concerned with developing machine learning methods for patient risk stratification. Her algorithms analyze entries in medical records, including samples from kidney patients and from heart patients. The kidney project is conducted in collaboration with Dr. Claudine Jurkovitz, a nephrologist and director of operations at Delaware’s Christiana Care Health System; the heart project is in collaboration with Dr. Roselle Abraham and Dr. Theodore Abraham, both cardiologists from the University of California, San Francisco (the work started when they were at Johns Hopkins). The project that focuses on kidney patients, in collaboration with Jurkovitz from Christiana Care, aims to determine risk of hospitalization, stage and progression of chronic kidney disease, which affects about 15 percent of American adults, the U.S. Centers for Disease Control and Prevention estimates. Specifically, given a patient’s blood pressure, body mass index and other risk factors, and how those numbers change with each visit, Bhattacharya’s computational models can help to predict how quickly that patient’s condition will worsen. The heart project done in collaboration with UCSF cardiologists, applies similar methods to a large cohort of heart patients, in order to predict hypertrophic cardiomyopathy, which is a disease often responsible to sudden cardiac death. Such machine learning models can help medical professionals realize significant trends in patient data and ultimately make effective data-driven decisions, which may ultimately lead to more accurate predictions and drive healthcare costs down. Eventually this research could help health care professionals make better decisions about how to help their patients by alerting physicians to patients at particularly high risk of complications. “It’s tough for a human to look through years of patients data and analyze them quickly; that’s where machine learning comes in – the model parameters are learned from large datasets and the model can automatically identify patient-level and population-level patterns” said Bhattacharya. Bhattacharya works with Hagit Shatkay, a professor of computer and information sciences who heads UD’s Computational Biomedicine and Machine Learning Lab. Together they have published multiple manuscripts on their work. In a study published in the Journal of BMC Medical Informatics and Decision Making, they stratified chronic kidney disease severity levels with 93% accuracy. In a recent study of electronic health records from more than 13,000 kidney patients, they sought to find health conditions that commonly co-occur, increasing patients’ risks of complications and poor outcomes. Among their results, published in the Journal of Biomedical Informatics, they found two novel correlations, a link between allergic rhinitis and osteoporosis and a link between renal failure and bone and joint pain. Bhattacharya has been passionate about math and science from a young age. She studied electrical engineering as an undergraduate and then worked as a software engineer for three years before realizing that she wanted to apply her computing abilities to solve healthcare problems. That brought her to UD to study with Shatkay. The physicians she works with are getting excited about the possibilities of her results, which inspires her even more.